Age is just a number. 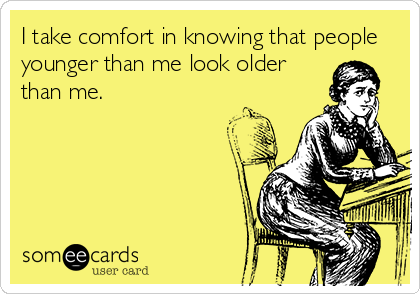 If I stress too much about it, the more likely I will look and feel old. I’m handling it pretty well though. A few weeks ago, I was in a Hillcrest bar for an event. The bouncer insisted on checking my ID. I told him, I’m 30. He was like “wow” and let me get in. It’s a nice feeling. 1. Iris Apfel – Accessorizes well + Cool eyewear. I love it! 2. Sylvia Weinstock – World-class baker. Love the huge eyewear. 3. The Ladies of Advanced Style – I just love seeing classy, quirky and stylish old ladies. Looks like, my future will be brighter with my big, round specs. This entry was posted in random thoughts and tagged age is just a number, random. Bookmark the permalink.